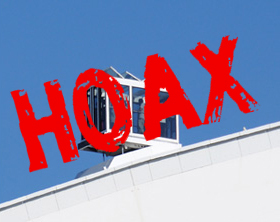 Stadium management has been advised of a hoax text message that is being circulated stating that free SkyCar rides are being offered on Friday 13 January at Moses Mabhida Stadium. We would like to advise that this is patently untrue and no such promotion is being offered. The SkyCar will be in operation and normal prices will apply. R55 for adults, R30 for children under 12 and children under 6 free.